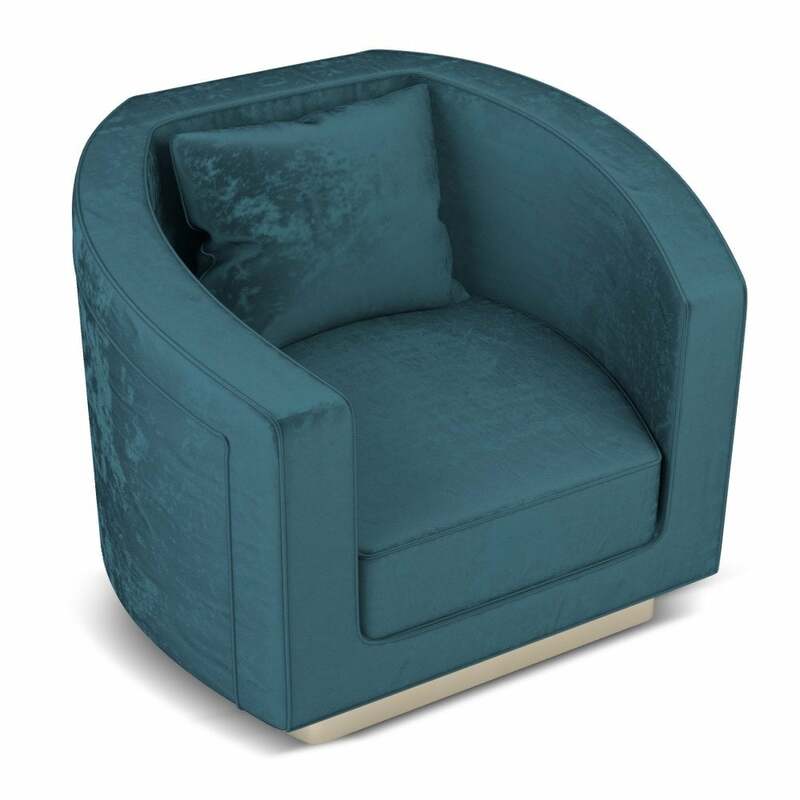 The Debbie Armchair is inspired by Hollywood sweetheart, Debbie Reynolds. Recognised for her power and strength on-screen, this retro design represents Debbie’s endearing personality. Part of the Century Collection by Ottiu, the Debbie Armchair combines modern flair and art deco shaping to create a striking design that will bring a warm and cosy feeing to any living room space. The boxy frame is crafted from strong pinewood and upholstered in an on-trend teal cotton velvet. The Debbie armchair looks beautiful paired with different tones of blue and a pop of ultraviolet. The bright teal upholstery is complemented by a polished brass base. Get in touch with our team to discuss different fabric and finish options.